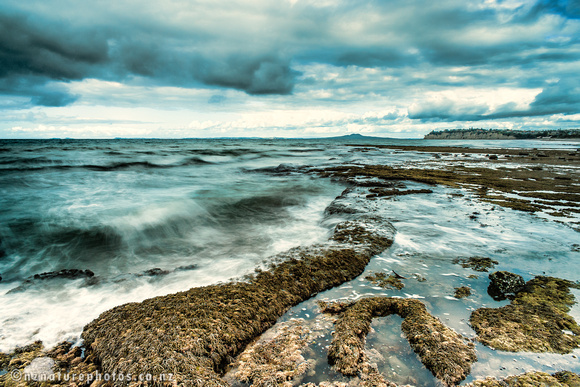 This shot I took at Long Bay, in rather turbulent conditions. I slowed the shutter-speed to about 2 seconds, to give some sense of motion to the waves. I’ve also lined up the edge of the reef to lead int the image, and direct eye to Rangitoto. The big challenge with these shots is using a 20mm wide angle forces you to stand very close to the edge of the water. And those waves are really unpredictable.